Tracheotomy is widely used in intensive care units with great disparities between medical teams in terms of frequency and modality. Indications and techniques.Group of experts from the French Intensive Care Society and the French Society of Anesthesia and Intensive Care Medicine with the participation of the French Emergency Medicine Association and the French Society of Otorhinolaryngology have released Latest Guidelines about Tracheotomy in the intensive care unit.The aim of these guidelines is to define the indications, contraindications, modalities, and monitoring of tracheotomy in light of the current literature data. The summary made by the experts and the application of GRADE methodology led to the drawing up of 8 formal guidelines, 10 recommendations, and 3 treatment protocols. The experts suggest that tracheotomy be proposed in cases of prolonged weaning from mechanical ventilation and of acquired and potentially reversible neuromuscular disorder. The experts suggest that the indication for tracheotomy in patients with chronic respiratory failure should be the subject of multidisciplinary discussion. The experts suggest that tracheotomy (percutaneous or surgical) should not be performed in intensive care in situations at high risk of complications. 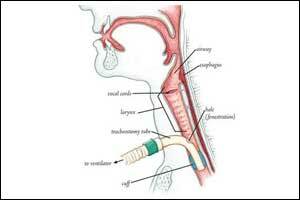 Percutaneous tracheotomy is the standard method in intensive care patients. The experts suggest that medical and surgical teams should discuss and decide upon the tracheotomy technique to be used when there is a risk of complications. Percutaneous dilatational tracheotomy should probably be preferred as the standard method in intensive care patients. Fiberoptic bronchoscopy should probably be performed before and during percutaneous tracheotomy. A laryngeal mask airway should probably not be used during percutaneous tracheotomy in intensive care. Cervical ultrasound should probably be performed with percutaneous tracheotomy in intensive care. The experts suggest that antibiotic prophylaxis should not be prescribed for tracheotomy. The experts suggest that a standardized procedure be implemented in intensive care units that perform the percutaneous tracheotomy. The experts suggest that intensive care units should have a tracheotomy management protocol. 2.The experts recommend airway humidification in patients with a tracheotomy in intensive care. 3.The experts suggest that tracheotomy tubes should not be routinely changed in intensive care. The experts suggest that a multidisciplinary decannulation protocol should be available in intensive care units. The tracheotomy tube cuff should probably be deflated when the patient is breathing spontaneously. 3.A pharyngolaryngeal examination should probably be performed at or following decannulation. This article is being published jointly in Anaesthesia Critical Care & Pain Medicine and Annals of Intensive Care. The manuscript validated by the board of the SRLF (12/13/2016) and the SFAR (12/15/2016).